If you live overseas, chances are that you will require a U.S. expat tax professional at some point when preparing and filing your taxes. In doing so, you are going to need to research who the best online expat tax professional firms for 2019 are to find the one that best fits your individual unique and important tax needs. While our services can help clients with all of their expat tax needs, we understand that you might still want to consider all of your options before identifying the best online expat tax professional firm for you. It is common for taxpayers to ask us, “If we don’t use Tax Samaritan, who would you recommend?” That’s why we have compiled a list of the 15 best online expat tax professional firms. Not wanting to shy away from this daunting question, we here at Tax Samaritan find that we are best-served to have an honest and transparent philosophy when it comes to interacting with our current and potential clients. We are thrilled to answer this question for you and provide this detailed information on the best online expat tax professional firms, because we believe that it is important that you find a tax firm that is the right fit for you, regardless if, ultimately, you opt to utilize our services. I think the last one is especially important because if the firm is unresponsive or doesn’t provide good service, then it truly doesn’t matter how long they have been in business and how much they may claim to know. You will also notice that I haven’t included price as a factor, as that should be the very last concern when selecting an online expat tax professional that you want to trust with your personal finances, in order to provide an accurate and complete tax return that will keep you safe with both the IRS and state tax authorities, and will have your back when you need help the most. It’s also nice to find a tax professional that you feel you can return to, year after year, and always expect to receive the same level of support and assistance. With many Americans residing abroad, this has created a niche market for Expatriate Tax Return preparation that has sparked an entire industry, with many options for you to evaluate and many different professionals to choose from. Selecting one of the best online expat tax professional firms should be based on both the quality of the professional and your personal fit – someone that you feel a connection to and believe a lasting long-term relationship can be developed. I thought I would share information with you on other firms whose work I have seen as part of client reviews over the past years, have worked with some of their staff, or simply have met at industry events. 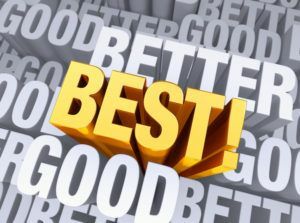 The list of the 2019 best online expat tax professionals is in no particular order, and I have copied information directly from their website or from their marketing materials. I am not affiliated with any of them and am simply sharing the qualities that come to mind when I think of them. As part of any process in selecting a new tax professional, I highly recommend talking to at least three different firms – this will not only help you determine whether there is a good fit, but also a sense of differentiation amongst the different options. I always say because I hear it so often from many people that call us – if you find that the firm is not very responsive or unresponsive when you are just a prospective client – just think of how responsive they will be once you are a client… so, please keep that in mind during your research. All of the Best Online Expat Tax Professional Firms are staffed by licensed tax professionals, such as Enrolled Agents (EAs) and Certified Public Accountants (CPAs). They all utilize some form of secure electronic communication method or portal. To me, these have always been two of the most essential elements when you begin considering doing tax business online. To be neutral, I’m excusing Tax Samaritan as part of the conversation. H&R Block Expat Tax Preparation – H&R Block, the tax-preparation giant, began serving Americans abroad with virtual tax preparation in 2013 and quickly became one of the best online expat tax professional firms. They are a highly specialized team of tax attorneys, CPAs and Enrolled Agents (EAs), whose primary focus is on expat tax preparation for Americans abroad. In some countries, H&R Block may even have a local office. This is a large company who offers predictable results, as well as a recognizable brand. H&R Block is a good choice for taxpayers who like to rely on household names when buying products or conducting their business. Plus, they offer secure uploading for tax documents and other sensitive information. If you are worried that your tax filing will be overly complicated, you can rest assured knowing that they also offer a guarantee of 100 percent accuracy and 100 percent satisfaction. Greenback Expat Tax Services – Greenback Expat Tax Services was founded in 2008 by U.S. expats. They have worked with expats in 212 countries and have served over 8,400 expats in filing their tax returns. They offer straightforward pricing for basic returns, as well as for CPAs and EAs who work remotely throughout the world. Greenback Expat Tax Services also offers extreme convenience in providing a secure data portal where customers can easily upload their tax documents. Greenback Expat Tax Services also offer a flat fee for all basic IRS expat tax returns, so that the customer always knows and understands the basic pricing schedule. Bright!Tax – Founded by an entrepreneur with venture capital backing, Bright!Tax is yet another option for taxpayers living outside of the United States. Beginning with the 2014 tax year, Bright!Tax almost exclusively employs Virtual Tax Preparers that are American CPAs (and no Enrolled Agents known as America’s Tax Experts). They offer a secure interface for clients, along with a flat fee for basic expat tax returns. Bright!Tax has customers in over 190 different countries, and they have won multiple awards. Additionally, they have set up the Bright!Tax Global Scholar Initiative, in which they fun scholarships for U.S. students who would like the opportunity to study out of the country for a full semester at an accredited university, college or other approved institution of learning. Expat Tax Professionals – Unlike most tax firms, Expat Tax Professionals do not ever outsource their tax preparation services. All work is done by their in-house staff, primarily consisting of CPAs and tax attorneys. Expat Tax Professionals was founded in 2012, and they specialize in assisting U.S. taxpayers in getting caught up with late filings. Expat Tax Professionals utilize the most cutting-edge security measures (256 bit SSL and 256 bit AES encryption) for uploading tax documents and other supporting information, and they offer simple, competitive pricing. They also offer very detailed information on their website regarding filing requirements and late filing options, which can be very helpful. Taxes For Expats – Taxes For Expats is women-owned and has been preparing taxes for U.S. expats for over 25 years. Every return is checked by two pairs of eyes (a quality control check we advocate ourselves) – a CPA or EA, along with a senior supervisor who thoroughly reviews their work before creating the final tax documents. Taxes For Expats is focused solely on American taxpayers living outside of the United States, and they have created a simple tax return process that offers flat-free pricing for most returns, along with secure uploading for documents and information. They have helped U.S citizens living in over 190 countries with staying in compliance with the IRS, and they have extensive reviews online for prospective clients to review. American Expat Tax Services – American Expat Tax Services is somewhat unique in that they specialize in taxpayers who live either in the United States or Canada, but work on the other side of the border and want to ensure that they are in direct compliance with all of the requirements that might apply with either country. With American Expat Tax Services, you can expect to utilize a private data portal which will enable the convenience of encrypted document transfers. American Expat Tax Services has over 30 years of experience, employing CPAs and EAs to offer assistance to expats, along with approved furthering education for expat tax professionals. Expat CPA – Expat CPA is a Certified Public Accounting firm that is based in the United States, offering specialized assistance to American taxpayers when preparing and filing their tax returns. Since 1994, Expat CPA has been focusing solely on American expat tax preparation. As that they completely understand the ins and outs of filing these types of returns, they are able to provide fair, competitive fees. Expat CPA provides a secure portal for uploading all supporting tax documents and, five days after receiving the required or requested information, the completed tax returns will be emailed to the taxpayer as a PDF with password protection. They also provide a Tax Notebook, which will populate your tax information from the previous year, if you are a return customer and continue to utilize their services. American UK Tax Solutions – As the name implies, American UK Tax Solutions specializes in assisting both U.S. and UK taxpayers who live and/or work “across the pond.” Providing a focus on filing returns from previous years, American UK Tax Solutions offers important information on programs and procedures to ensure that U.S. and UK taxpayers remain in good standing with the IRS. Additionally, American Tax Solutions can help your business with their Tax Advisory Services, helping you to ensure that your business is structured in the most advantageous way to provide optimization and even tax relief in optimal situations. Most fees are fixed, but they can differ due to the overall complexity of the preparation and filing. Online Taxman – Online Taxman specializes in assisting U.S taxpayers who are working or living abroad, American entrepreneurs living outside of the country, government or military contractors and citizens of overseas countries who invest in the United States. They also focus on providing help for digital nomads, which is a newer term for freelancers or people involved in the tech world who travel to countries where they can work and live a better lifestyle with less investment. Online Taxman can help provide information to create business structures, set up financial planning, report foreign assets and bank accounts and get caught up on back taxes. For those with concerns about uploading their private documents online, Online Taxman utilizes a secure encrypted online portal. US Expat Tax Help – US Expat Tax Help offers its clients dedicated tax assistance all throughout the year, so they are easy to contact, even outside of tax season. They focus solely on preparing returns and additional forms for American taxpayers living abroad, along with both U.S. resident and non-resident aliens. US Expat Tax Help also provides help with unresolved issues with the IRS, including filing back taxes and addressing unpaid tax debts. Additionally, clients utilize US Expat Tax Help for business services, such as consulting, planning, cash flow management, new company setups payroll and non-profit organizations. They provide online client portals for secure documentation uploading and helpful financial calculators. Expat Tax CPAs – Expat Tax CPAs offer services to American taxpayers who are living outside of the United States and fall under the requirements to file with the IRS or to prepare additional forms for overseas accounts. Once the documents and other requested information are uploaded to their secure portal, Expat Tax CPAs prides themselves on returning the completed forms within 12 days. They can assist with streamlined programs to file late or back taxes, as well as FACTA and FBAR filings. Additionally, they can offer help with ITIN applications, representation with IRS audits, setting up foreign organizations and business tax filings. As with most other tax preparation businesses, Expat Tax CPAs also offers a free 15-minute consultation to help you decide if they are the preparers for you. Expatriate Tax Returns – Expatriate Tax Returns have over 25 years of experience in providing federal, state and city filings for expats located all across the world. They work on all of their clients’ filings in-house, where they are based in Detroit with global outreach, without outsourcing to other tax professionals. They offer competitive pricing, with upfront estimates so that you know exactly what to expect. Expatriate Tax Returns provides their Virtual Client Filing System, where it is simple and safe to upload the documents that will be needed to prepare your tax returns. Additionally, they work year-round, so they can always offer assistance in the case of additional questions or IRS audits. Universal Tax Professionals – Universal Tax Professionals focus solely on tax preparation for American expats, late expat tax returns, corporate business returns and non-profit organizations. This is a full-service firm made up of CPAs who are experts in ensuring that you meet all of the regulations and requirements of the IRS and local agencies. Universal Tax Professionals offers CPAs in several countries abroad, including Australia, Brazil, the Czech Republic, Germany, Israel, Mexico, Norway, Sweden and the UK, along with online global connections. On the Universal Tax Professionals website, you can also find additional resources to help with your tax planning process. Artio Partners – Artio Partners provide tax assistance and filing for American citizens, Green Card holders and foreign nationals, as well as global mobility services. They are made up of CPAs and accountants with over 35 years of experience, and they are the winner of the coveted APAC EMMA’s, given for exceptional services in the field of global mobility. Plus, Artio Partners offers educational seminars for both individuals and businesses, as well as International Assignment Services. Artio Partners are also experts in foreign real estate, international visas, foreign adoptions, international mutual funds, controlled foreign corporations, currency transactions, U.S. citizenship renunciation, FACTA, FBARs and much more. EFPR Group – EFPR Group has over 60 years of experience in both Western New York and around the globe, serving over 10,500 clients. They are a large firm of over 200 Business Consultants and CPAs, providing varied assistance with filings for American expats, as well as international business plans that help with employee compensation plans, cross-border transactions and tax equalization. EFPR Group also offers commercial services, auditing services, IT consulting, staffing, outsourcing, litigation services, business valuation and forensic services. EFPR Group’s website also contains helpful information in the form of blog posts, updates news and videos. Throughout the year, they sponsor several community events as well. Work with a licensed professional – an Enrolled Agent (EA), CPA or Tax Attorney. Be sure that your sensitive data is protected and that document uploading is secure. Always take into account the overall responsiveness of the tax professional. Enquire about the ability (or likelihood) to be able to work with the same tax professional year after year. See if follow-up support is included in the event of an IRS or state audit. Learn everything that you need to know when it comes to preparing U.S. expat taxes. Download our free Expat Tax Guide here! Our goal at Tax Samaritan is to provide the best counsel, advocacy and personal service for our clients. We are not only tax preparation and representation experts, but we strive to become valued business partners who can assist you with lessening your overall tax impact. Tax Samaritan is committed to understanding our client’s unique needs; every tax situation is different and therefore requires a personal approach in providing the best realistic and effective solutions that apply to your individual circumstances. If you have any questions or would like to discuss our list of the best online expat tax professional firms further, please feel free to contact us directly by phone or email anytime. Tax Samaritan is a team of Enrolled Agents with over 25 years of experience focusing on U.S. tax preparation and representation. We maintain this tax blog where all articles are written by Enrolled Agents. Our main objective is to educate U.S. taxpayers on their tax responsibilities and the selection of a tax professional. Our articles are also designed to help taxpayers looking to self-prepare, providing specific tips and pitfalls to avoid. When looking for the best online expat tax professional firms, choose carefully. We recommend that you hire a credentialed tax professional, such as Tax Samaritan, that is an Enrolled Agent (America’s Tax Experts). If you are a U.S. taxpayer overseas, we further recommend that you seek a professional who is experienced in expat tax preparation, like Tax Samaritan (most tax professionals have limited to no experience with the unique tax issues of expat taxpayers). Randall Brody is an enrolled agent, licensed by the U.S. Department of the Treasury to represent taxpayers before the IRS for audits, collections and appeals. To attain the enrolled agent designation, candidates must demonstrate expertise in taxation, fulfill continuing education credits and adhere to a stringent code of ethics.